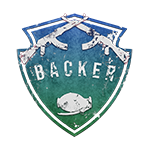 We have a range of different creators from many different games, from DayZ, Scum, Miscreated. We want to avoid becoming anything like an "emulator". It creates one clear voice for the many rather than thousands of yelling morons with slightly to vastly varying opinions. Creators are more likely to gather a larger field of data from their communities before having their say, whereas most individuals think once and speak to often. TLDR: A creators program is a great idea for developers who want a strong community input but don't have time to filter through hundreds of different opinions.